Sumi is one of our students and learns the fascinating shell art called Sailor’s Valentine. She gave us their class show info. 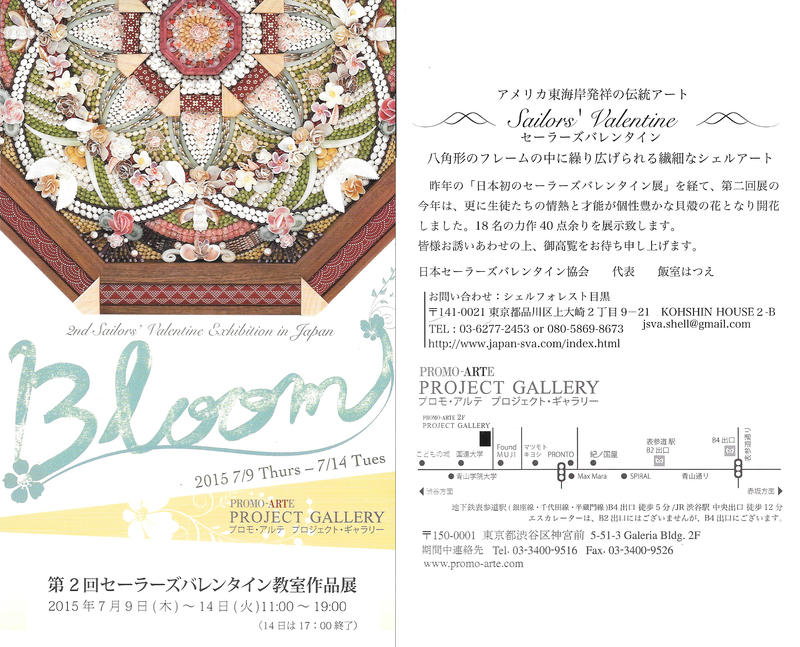 The show will be held at the Promo Arte Project Gallery in Omote-sando from the 9th of June. Good to have a look if you can!